What is APA (Auto-Payment Arrangement)? Auto-Payment Arrangement is a scheduled payment method arranged with your banks. Choose between Automatic Debit or Automatic Credit Arrangements. 1. For Auto Debit - Allow your bank to debit the bill amount from your account on the due date and send the payment to Meralco. 2. For Auto Credit - Auto charge your electric bill to your credit card. What are the advantages of enrolling to Auto-Payment Arrangement (APA)? Auto-Payment Arrangement is a convenient payment method that ensures you never miss a bill. Your bank settles payments for you - whether charge your bill to your credit card or debit from your bank account. When will my credit card/debit card be charged if I choose to enroll to APA? APA payments are settled by APA agents by the bill's due date. Can I enroll to APA in the Meralco Online? Yes, you can enroll to APA via Meralco Online. First, create a Meralco Online Account if you don't have one and follow the steps below. Step 1. In the dashboard of Meralco Online, look for Auto Payment Enrollment. Step 2. Select your preferred scheme: Auto Credit or Auto Debit. Step 3. Download the APA enrollment form of your selected APA scheme. Step 4. Print and accomplish downloaded APA enrollment form. Step 5. Scan and upload APA enrollment form together with a valid government ID then click "Submit." Alternatively, you can also apply for APA directly through your banks or at any Meralco Business Center. How can I unenroll from APA? You can unenroll from APA via Meralco Online. Step 2. Select Account to be unenrolled and click Unenroll from APA button. Step 3. Complete the fields and click on "Submit"
Alternatively, you can also unenroll APA directly through your banks or at any Meralco Business Center. When will my APA application take effect? Your APA enrollment will be effective once Meralco receives confirmation from your chosen APA agent/bank that your request has been processed. You will receive an e-mail once your APA enrollment has been processed and approved. Why can't I enroll in APA? Please go to any Meralco Business Center or call the Meralco hotline 16211 or 16210 (for Business) for assistance. How do I pay via Meralco Online? The first thing you need is a Meralco Online Account. Please create one and follow the steps below. Step 1. Login to your Meralco Online Account and on the dashboard click "Pay Bills". Step 2. Review bill summary for all unpaid bills/charges and select those for payment. Step 3. Choose your payment method. Input your payment credentials and click on "Next"
Step 4. Review the summary of your payment and click on "Submit" to confirm your decision to pay. You will then be redirected to our payment partner’s pages. Once completed, a thank you message will be shown to confirm your payment transaction. You will also receive a payment confirmation in your nominated e-mail address as proof of your payment. This, however, shall not serve as the official receipt of your online transaction. Can I pay other bills using Meralco Online? No. This facility is only for Meralco Accounts. What payment methods can I use to pay my bills in Meralco Online? How long does it take my online payment to go through? For payments made between 7AM to 11PM, your payment will be posted immediately to our system. For payments made during holidays or between 11PM to 7AM of the following day, your payment will be posted to our system morning of the following day. Where can I view my payment transaction? All payments, using Meralco Online or other channels, are viewable in the payment history page of your Meralco Online account. To visit the payment history page, please login to your Meralco Online account, click on Bills & Payments, then Payment History. Note: Only payments made after portal account creation will be displayed in the Payment History page. I made a payment in one of your Business Centers third party agents (e.g. Bayad Center). Why isn't it showing up in my Portal? Your payment in our Business Center/ third party agents (e.g. Bayad Center) will be reflected in the portal 2 days after the date of transaction. Can I do partial payment? Yes. Partial payments are allowed for settlement of single bills, however, non-payment of full amount on or before bill’s due date shall subject the service to disconnection. What are the advantages of paying my bills through Meralco Online? Paying via Meralco Online or its guest payment facility is like paying in a Meralco Business Center without the need to travel or line-up. Meralco Online accepts, payment for overdue bills, advance payments. More importantly your payment will be posted in the Meralco billing system faster than paying through other channels. Yes. Overpayments are allowed if all bills of your Meralco account are selected for payment. Excess payment will automatically be allocated to your account's next bill. What are the requirements of paying online? *your reference numbers which are all found in your Meralco bill (Account Number, Service ID Number, Invoice Number). This feature is not yet available but is part of the additional functions we are developing. How can I confirm if my payment is posted and received by Meralco? Once your payment is posted to our billing system, you will receive an email notification. For customers who used the "Pay as Guest" online facility, please wait for payment confirmation email sent to the email address you specified when you paid your bill. Yes. You can do advance payment at either account level or service level. Advance payments are allowed if your account/service has no outstanding bills. If the account level advance payment facility is not available, ensure that all services under your account is enrolled in the Meralco Online to enable feature. When can I expect the reactivation of my terminated service? To be reactivated, you will need to re-apply and submit required documents after payment of all dues. Please go to the nearest Meralco Business Center for assistance. Will I receive an OR (Official Receipt) after my online payment? No. You can request for the OR of your online payment transaction at any Meralco Business Center by just presenting your payment confirmation e-mail. When can I expect the reconnection of my disconnected service? We’ll reconnect your service within 24 hours from the time your payment is posted. For payments made on holidays and weekends, reconnection services will be for immediate scheduling the next business day. Reconnection fees will be reflected on your next bill. For further assistance, please call us at our 24/7 hotline at 16211 or business hotline at 16210. Can I request for payment reversal? I transacted an online payment and I received a payment confirmation message, why is my bill not updated to PAID and why can't I see my payment in the payment history page? It's possible that your bill intended for payment is already tagged as paid in our system. For cases like this, your payment then will be applied to your account's next bill. For payments made, other than through Meralco Online (i.e. bank and over-the-counter third party payments) please expect the update within 36hours. I accidentally paid the wrong Meralco bill, can I still cancel my payment? I transacted an advance payment, why can't I see this payment in the payment history page? Our system keeps a record of all your payments, including advance payments, which are treated as credits. Once your new bill is generated, your advance payment, will be applied and reflected on your payment history page. How many bills can I pay in a single transaction? For customers with a Meralco Online account, there is no limit to the number of bills you can settle in a single transaction. You can pay for several bills, as long as the service you wish to pay for is registered in your Meralco Online account. I did an overpayment, but why is it that I do not see my excess payment in the payment history page? Our system keeps a record of all your payments, including overpayments, which are treated as credits. Once your new bill is generated, your overpayment, will be applied and reflected on your payment history page. Are there additional charges if I pay through Meralco Online? It essentially depends on the payment method/card you use. Some methods incur convenience fees. This will go directly to our payment partner and will be added on top of the total amount selected for payment. The status of my payment is "Pending Payment Posting", what does this mean? It means that your payment is not yet received by our system but is already successfully processed by our payment partner, please wait for morning of the next day or contact Meralco please call us at our 24/7 hotline at 16211 or business hotline at 16210 for further assistance. Can I pay my Meralco bill online? You can pay as a guest. This is accessible via the Meralco website or visit https://online.meralco.com.ph/customers/s/payasguest. You can pay via Meralco Online. This is a portal launched by Meralco to allow customers to conveniently and digitally transact with Meralco. Meralco Online is accessible through this link https://online.meralco.com.ph/. Is online payment via Meralco Online secure? Yes, our payment partner, PAYMAYA, is PCI-DSS (Payment Card Industry Data Security Standard) compliant. There are transactions listed in my Payment History page that I didn't make, where are these from? It may be the case that your service is also enrolled to another person's portal account and that person made a payment. This may happen for landlord and lessee arrangements, family members in the same household or business accounts. Payments for a service are visible to portal accounts to which this service is enrolled to. Please report or visit your Meralco Business Center, for unauthorized enrollments of your Service IDs by other portal users or if there is a need to update records. Can I make a recurring payment on a monthly basis? For monthly recurring payments, we recommend that you enroll in our partner banks' Auto-Payment Arrangement. For more information, please refer to APA FAQs. Will my credit cards be saved for future transactions? No. Credit card information, as well as other payment method credentials, will not be stored by Meralco and shall only be passed to the Payment Gateway for authentication and processing. What are the benefits of paying via Meralco Online versus paying as a guest? For customers with multiple accounts or services, they can pay for multiple bills in just a few clicks. How can I confirm that my payment through Meralco Online or using "Pay as Guest" was successful? Via an email confirmation sent to the registered primary email address of your Meralco Online account or the email address specified by guest payors. Via the payment history section for Meralco Online accountholders. Will my payment credentials be shared with anyone? No. Credit card information, as well as other payment method credentials, will not be stored by Meralco and shall only be passed to the Payment Gateway for authentication and processing. You may also refer to the privacy policies of Meralco here (https://company.meralco.com.ph/privacy-policy). Will I get notified if my payment transaction was successful or not? Yes, you will be notified in several ways. For successful transactions, you will get an onscreen thank you message to confirm your payment transaction. This screen will display, among others, the payment reference number of your transaction. In addition, a payment confirmation notification will be sent to your nominated e-mail address. Lastly, you can also check on Meralco Online's payment history to check if your payment has been reflected (only for Meralco Online payments). Likewise, failed transactions caused by system or internet connection errors will have prompts or error messages. You will not receive any e-mail from Meralco if your online payment transaction fails. What are the benefits of Paperless Billing? Accessibility and Convenience. You will have faster access to your billing information since electronic bills. You may also view current and past electric bills anytime, anywhere, in one convenient location. Instances of lost, misplaced, or damaged bills are also avoided. Ease of Payment. You may easily pay electric bills online. A link to the online payment facility is available in the Paperless Bill delivery notification. Reduction of clutter and paper waste. Bills sent via email or made available through the Meralco Online minimize unwanted or unnecessary physical clutter. Environment-Friendly. You will be able to contribute in preserving the environment by saving trees and reducing carbon footprint from paper production and consumption. How do I subscribe to Paperless Billing? Log in to your Meralco Online Account. Go to Accounts > List of Accounts. Select the Account Number you wish to subscribe to Paperless Billing. Click the Subscribe to Paperless Billing button. Input your secondary email address, if any. Click Submit to confirm your subscription request. You’ll receive an email confirming the status of your Paperless Billing subscription request within a day. In the Value-Added Services page, select ‘Yes’ for ‘Would you like to enroll to paperless billing?’. Complete your online application for electric service. You’ll receive an email acknowledging receipt of your application for electric service and subscription request for Paperless Billing. You’ll receive an email confirming the status of your Paperless Billing subscription request once your application for electric service has been completed. Login to your Meralco Online Account and update your secondary email address, if any, under Profile Management. I cannot see my Account Number in Meralco Online's Paperless Billing Subscription page. How do I proceed with my subcription request? If you are the Account Holder but you cannot see your Account Number in the Paperless Billing subscription facility, then there is a difference between your names as reflected in your Account record and your Meralco Online Account. Please email the following documents to customercare@meralco.com.ph or submit them to the nearest business center. No document will be required if the difference in the Account Holder name and Meralco Online user’s name is due to minor syntax difference. For further assistance, please call us at our 24/7 hotline at 16211 or business hotline at 16210, or email us at customercare@meralco.com.ph. Additional supporting documents may be required on cases not listed above, subject to Meralco’s evaluation of the case. If you are not the Account Holder (i.e., an end-user / actual user of the electric service), please submit the required documents as shown below to customercare@meralco.com.ph or to the nearest business center. For further assistance, please call us at our 24/7 hotline at 16211 or business hotline at 16210, or email us at customercare@meralco.com.ph. Other document proving that the Applicant occupies the premises covered by the service of the Meralco Account: (a) government-issued ID of the Applicant, (b) utility bill for two (2) months (e.g., Meralco bill, water bill, etc. ), OR (c) Barangay Certificate. Notarized Secretary’s Certificate, if submitted during application for service or Meralco Online account creation, should indicate that the Applicant has the authority to subscribe the Meralco Account to Paperless Billing. Else, another Notarized Secretary’s Certificate indicating that the same will be required. When will my monthly electronic bill be available? Your monthly electronic bills will be posted in your Meralco Online Account within a day after the meter reading date, unless the bill was subjected to further internal validation by Meralco. You will also be notified via email once your bill has been posted in your Meralco Online Account. How can I view my electronic bills? There are two ways to view your electronic bills. Via email notification. Click the link to your electric bill in the bill notification sent to your registered email address. Via Meralco Online. Log in to your Meralco Online Account and access the View Bills facility. I haven't received an email regarding my electronic bill yet. What may be the cause of this? Your email's inbox is not full. Your email address is active. cxe@meralco.com.ph is in your email’s contacts list so our emails will not be treated as a spam. In case you have not received an email notification within five (5) days, you may also login to your Meralco Online Account to check if the electronic bill is already posted. If it is not yet posted, your bill may have been subjected to further review by Meralco. Can I revert back to receiving paper bills? To have a printed copy of your bills, you have the option to download and/or print a copy of your bills from your Meralco Online Account. Should you opt to update how you receive your electric bills, you may request for the updating of your bill delivery option through your Meralco Online Account six months after the effective date of your Paperless Billing subscription. My subscription to Paperless Billing has not yet exceeded six months, but I am no longer authorized to received the electronic copy of bills. How can I update my bill delivery option? If the effectivity of your Paperless Billing subscription has not been over six (6) months and you will no longer be authorized to receive the electronic copy bills (e.g. due to change of residence), you may submit a written request specifying your reason, and one (1) government-issued ID or two (2) secondary IDs. Paperless Billing is a free service of Meralco wherein you may opt to receive your monthly electric bills electronically instead of paper bills, subject to ERC’s Rules on Electronic Billing and Communications for Electricity Consumers. Online Billing is a free service of Meralco wherein you may view a summary of your electric and non-electric bills online. In addition, you may also view the electronic copy of your electric bills invoiced within the past 13 months. What are the benefits of Online Billing? Notification Sending. You will receive an email notification for your monthly electric bill once it is already available for viewing online. Accessibility and Convenience. You will have faster access to your billing information. 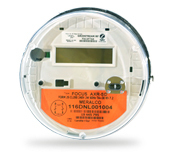 You may also view current and past electric bills anytime, anywhere, in one convenient location. Instances of lost, misplaced, or damaged bills are also avoided. Ease of Payment. You may easily pay electric bills online. A link to the online payment facility is available in the bill delivery notification. Consumption Monitoring. You will be able to view your monthly kWh consumption for the current month and the past 12 months. You will also see your average monthly kWh consumption for the same period. How can I avail your Online Billing Service? Create an account in Meralco Online. Enroll your electric service/s in your Meralco Online Account. I cannot view the electronic (pdf) copy of my bill. What could be the reason for this? You can view an electronic copy (PDF copy) of your electric bills starting with the next billing following the enrollment of your Service to your Meralco Online Account. For your non-electric bills (e.g., disconnection notice, reconnection fee, etc. ), only a summary of the bill details will be viewable online. Bills will be viewable in your Meralco Online Account for 13 months after invoicing. I enrolled in your Online Billing service. Will I still receive a paper copy of my bills? Yes, you will still receive your paper bills. If you wish to update your bill delivery option by going paperless, you may subscribe to Meralco’s Paperless Billing service. Can I pay online without creating my own Meralco Online account? Yes you can. To pay as a guest, here are five (5) simple steps. Step 1. Have your Meralco bill ready and on hand. You will need this as basis for the amount to pay and the reference number required (i.e. Service ID Number (SIN), Account Number or Invoice Number). Step 2. Access the pay as guest page by visiting, https://online.meralco.com.ph/customers/s/payasguest. Step 3. Fill in the required fields, add your email address to receive a payment confirmation, read and agree to the terms and conditions, and click on "Next." Step 4. Choose your payment method. Input your payment credentials and click on "Next." Step 5. Review the summary of your payment and click on "Submit" to confirm your decision to pay. You will then be redirected to our payment partner’s pages. Once completed, a thank you message will be shown to confirm payment transaction. You will also receive a payment confirmation e-mail as proof of your payment. This, however, shall not serve as your official receipt.